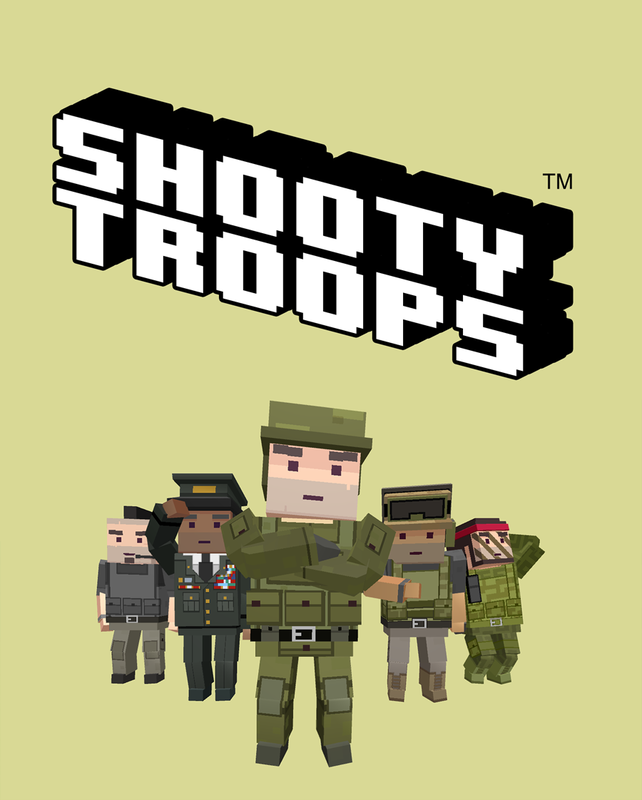 SHOOTY TROOPS - The Endless Arcade Shooter™. Pick a character and battle wave after wave of enemies on procedurally created levels. Fight tooth-and-nail through the levels with a simple pistol while keeping an eye for random weapon upgrades. Unlock characters with your earned coins, each unique and some with special weapons and or abilities. Challenge your friends on the Game Center and Google Play Leaderboards, earn Achievements, share your high score and more! Challenging yet simplistically addicting! Your fingers will be sure to thank you. Insane twin stick shooter action! You'll never play the same level twice! New characters added monthly, each with their own personality! Big guns, little guns and miniguns! Fast paced, intense, difficult, and mind capturing. These are all things I look for in a game. Great game that is low maintenance. It won't send you notifications all day and try to get you coming back. Perfect game for when you need a few minutes of down time. This game is the future on mobile. Action-packed, infinite wave warfare at its finest. Because everything is pixelated now! on a Phone Near You! SHOOTY TROOPS™, #shootytroops™, "Endless Arcade Shooter"™, "The SHOOTY TROOPS Logo", and 804 Game Studios™ are trademarks of 804 Game Studios LLC. iPhone and iPad are registered trademarks of Apple Inc, registered in the U.S. and other countries. App Store is a service mark of Apple, Inc. Android is a trademark of Google Inc.